To understand this vulgar term that could literally be translated as “Labels for Dog”, we must go back to the 18th century. The United States of America faces a real problem of stray dogs in the cities and the countryside, causing a lot of damage but also many attacks on the population. 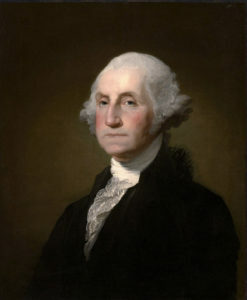 Thus, George Washington decides to launch a vast operation of canine cleaning on the territory and proclaims a law obliging any canine owner to make carry to his animal a collar with the name and the coordinates of its owner. on the jacket with a pin; while others strike their initials on a coin they come wearing as a pendant. Some traders behind the lines are already at this time the seam to make custom pendants more or less luxurious for soldiers going to war. We are witnessing incredible initiatives. 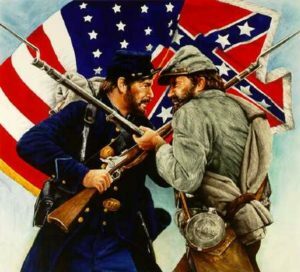 For example, General George Meade who, just before the Battle of Mine Run in Northern Virginia (1863), orders all his men to write their names on a white label and pin him on them before going into battle . After the carnage of this war, the Americans continue the protest movement and want to gather on the grave of their dead, Congress and the army are forced to seek a solution. Thus, in 1906, inspired by medallions previously marketed, a “plate of identity” project was born. It is sponsored by Chaplain Charles Pierce in charge of the Quartermaster Office of Identification. Adopted in 1913 on the eve of the First World War, American soldiers are required to wear a small aluminum disc around which a variety of information (surname, first name, unit, USA) is inscribed. 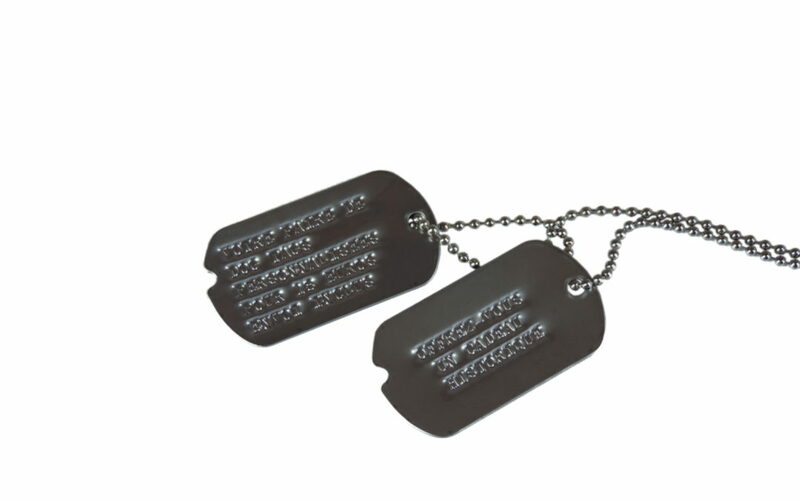 Like soldiers who would wear a necklace, the soldiers call this plaque naturally “Dog Tag”. The legend had just been born.